I’m actually updating a very old post today. 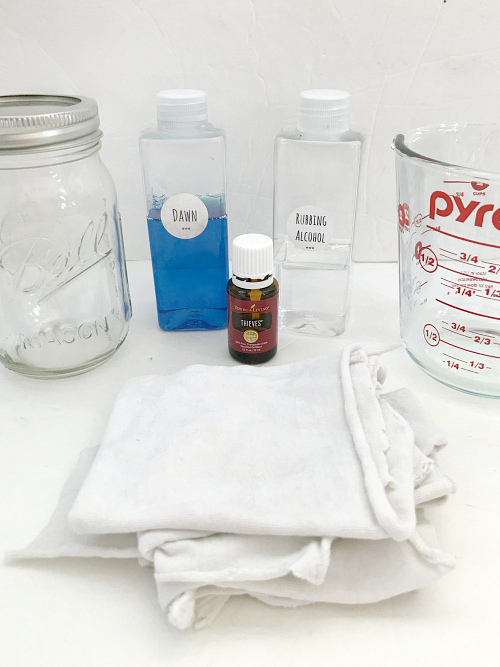 About a week into blogging, I shared a recipe for homemade cleaning wipes, and today I’ve got an updated version. 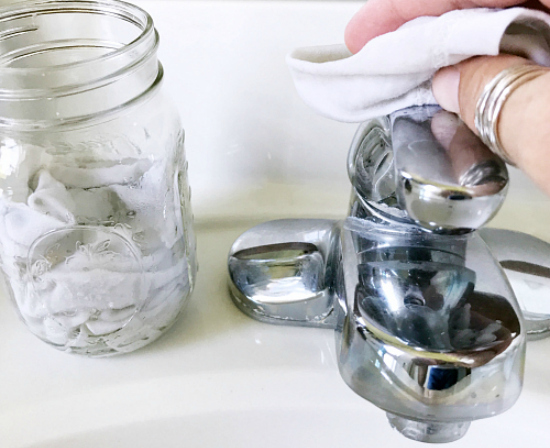 I have been using these wipes for years, and I simply love them. I use them to wipe down toilets, door handles, light switches; you name it. A plastic (or glass, if using essential oil) container, with a lid, for storage- I use a mason jar. About 14 pieces of Cotton Cloth- I used an old t-shirt and cut it into squares about 8″ x 8″. 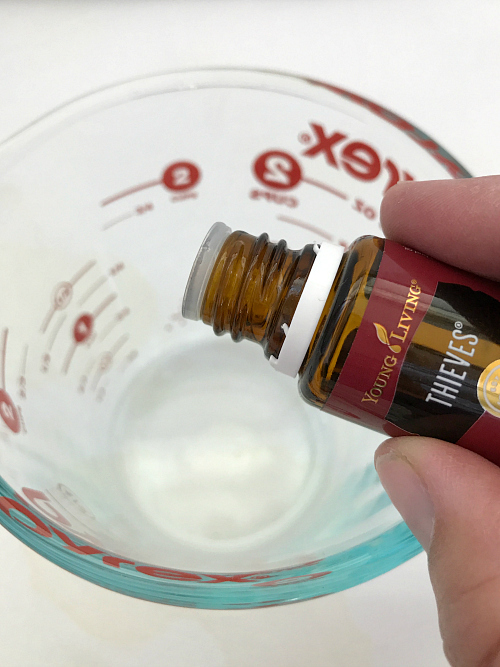 15-20 Drops Thieves Essential Oil– Not sure where to buy essential oils? Check out this post. 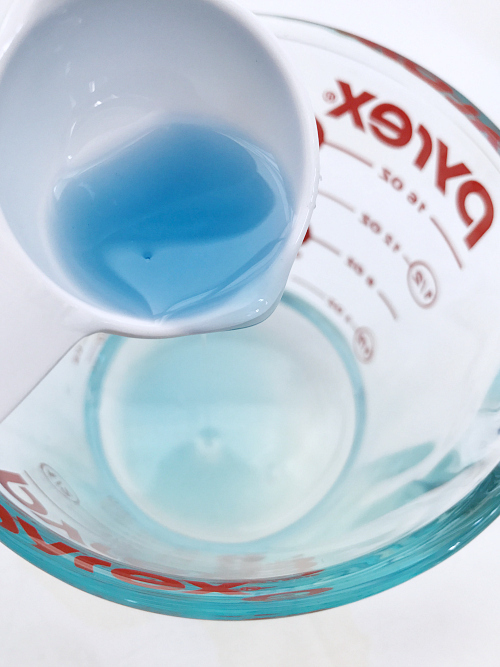 In your glass measuring cup, start by mixing 2 Tablespoons rubbing alcohol with 15-20 drops of Thieves essential oil. After this is thoroughly mixed, add 1/2 cup water and 1 Tablespoon dish soap. Mix again until combined. 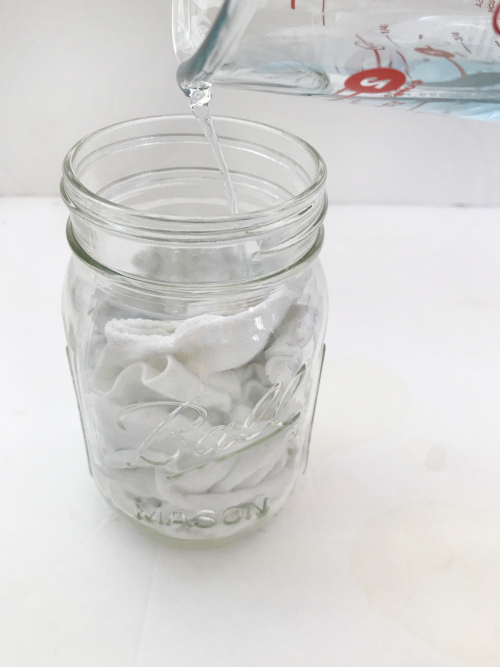 Put your cloth pieces into your container and pour the mixture over the cloths. Put the lid on the container so the wipes don’t dry out, and allow a little time for the cloths to absorb the liquid. That’s it! You’re ready to clean. Once used, you can toss the cloth pieces into the washing machine and wash in a hot cycle, along with your towels. I simply stack up the clean cloths, and when I run out of wipes, I remake the solution and start over again. Could you substitute Thieves dishwasher soap for the Dawn? It’s concentrated, so would you suggest less of the Thieves? I always use the blue Dawn. 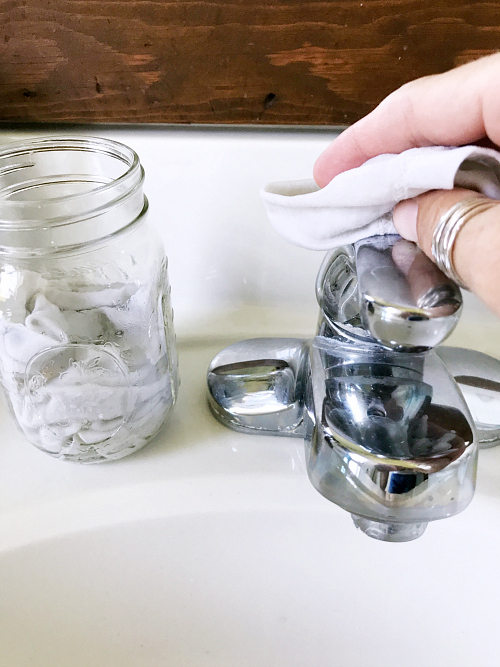 I have tried the other colors simply for washing dishes and never feel the suds last as long with the other colors. I have no idea if there’s really a difference or not, but that’s what I do. I have been meaning to do this for the longest time! It’s just so smart to make these ourselves if we must have them. I completely agree. I love that I’m not constantly having to buy more wipes. I just rewash the shirt scraps. And if you don’t want to make them as often, you could always double or triple the batch. Love this idea! 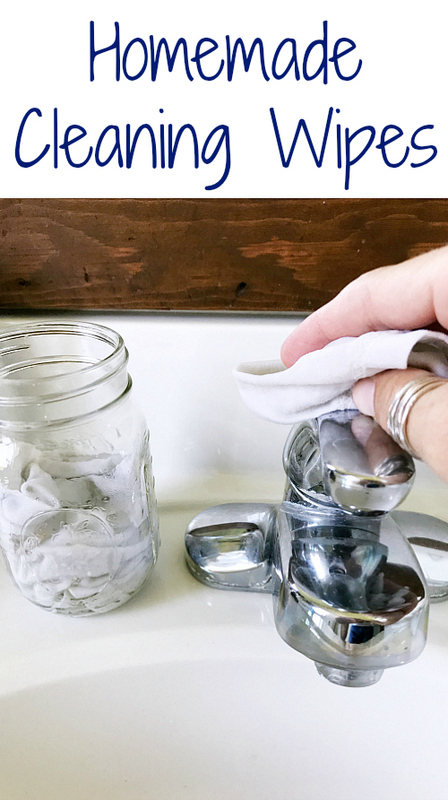 I’d love to make cleaning wipes like this! It is SO easy to do! After you cut up the t-shirt, the mix can be made in 2 minutes. Thanks for stopping by and leaving a comment! Have a wonderful evening! I have a leftover wipes container and a few old t-shirts. So trying this this weekend! Awesome! Have a fabulous day! Thanks for the invite Donna. I’ll have to come and check out the party. Have a wonderful day! This is awesome! 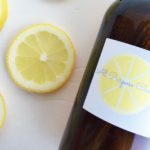 I love making my own cleaning products also (I use vinegar for everything!) and I was just thinking about how I wanted to make my own cleaning wipes. Pinning, thanks for sharing! I really do love these cleaning wipes, especially that I can just reuse the rags after washing. I actually just used my last one yesterday, so I need to make a new batch. So glad you found what you were looking for! Have a great week! Do you have to use Dawn? I have been doing the same thing for years now too!! Only need, rubbing alcohol, dawn, vinegar and baking soda for all your cleaning needs!! You go girl! !